It’s finally Christmas break. And as I sit here watching Sports Center after sleeping in till noon I’m thinking back over my semester. After spending the summer working as a counselor at Skyview Ranch in Millersburg, Ohio I came back to Piedmont Baptist College for my last year with the focus to do well and make good grades in all my classes. With a renewed focused and much self-discipline thanks to my training at Skyview I did awesome this past semester in my classes. My final grades come out to be three A’s and four B’s! The biggest thing I did this semester that helped me is I got ahead. I knocked out all my collateral reading in the first two months and anything that I could do early I did. That helped me a ton and it showed in the last few weeks of school when everyone was rushing around trying to get their collateral reading and projects in, but I already had them done. With that being said, there are a few lessons I learned from my grades this semester. If we want to obey the Word of God, we must come to the truth of this verse. We have to do all things to glorify God and that means even grades. That is a huge lesson I learned this semester, that even in my grades I can worship God! My grades are a reflection of my spiritual condition. 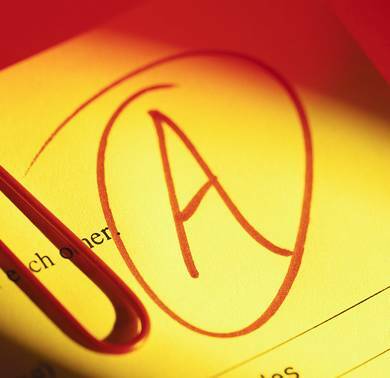 Back in high school, my Bible teacher, Doug Hull, told us a story about a young man who started living for God, but he was a poor student and his grades showed it. Once he started living for God he saw his grades go up and do much better. Since high school that story has stuck with me and I saw it in action this semester in my life. When I look back over my college career, when my spiritual life was struggling my grades where struggling as well, but when I was do good spiritually my grades were good too. It’s an exact mirror of each other, our grades will reflect how we are doing spiritually! For college students this is something we all must learn. I learned this semester that I must make my spiritual life a priority and much come before everything. When I did that and practiced that this semester everything else fell into place and my grades showed it. My grades determine my future. When I say future I mean academic future. If you know me pretty well you know I am thinking about continuing my education after I finish my undergrad. I am still looking into graduate schools and Seminary, but two are standing out right now which are Baptist Bible College Graduate School and Liberty Baptist Theological Seminary. Most seminaries and graduate school require you to have a 3.0 GPA coming out if undergraduate just to be accepted into their school. So with that in mind it is important to make good grades in college if you want to continue your education. This is something I want to do so I need to keep doing well in my grades now. These are just a few lessons I learned this semester and hope they might be an encouragement to you. I say none of this to be prideful, but to give glory to God. If it was not for God’s direction, strength, and power I could not have done this well, but I did and all the credit goes to Him! Awesome post Austin! Can I get your permission to copy this, use this and even send people to it? Yea Mr. McManus you could use it! I must say, as much I hate to admit it sometimes, that part about grades being a reflection of your relationship to God is true. That concept has played out in my life as well. Yea I agree Gary. It is not an easy thing to admit, but it happens. Something else I have seen in my own life is how my relationships with others reflect my relationship with Christ.